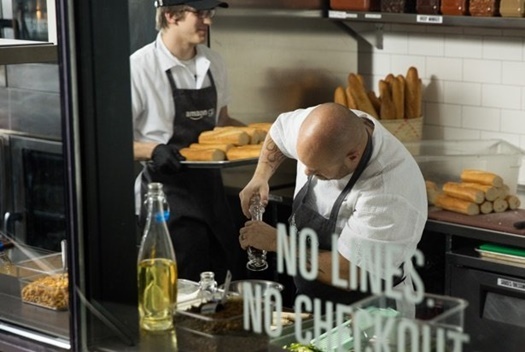 Amazon has opened its grocery store Amazon Go to the public, allowing anyone with a smartphone and an Amazon account to ‘Just Walk Out’—no waiting in a checkout line required. The 1,800-square-foot store is on the ground floor of Amazon’s Seattle headquarters and employees have been testing it for about a year. It stocks grocery staples like milk and bread along with items from the Whole Foods ‘365 Everyday Value’ range, Amazon cook-at-home meal kits, alcohol, and ready-to-eat breakfast, lunch, dinner and snack options. 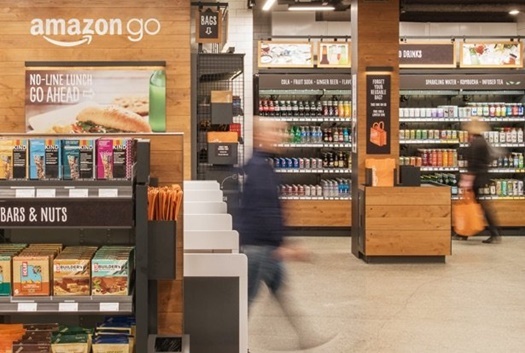 To enter the store customers scan the Amazon Go smartphone app on an entry turnstile and shop as normal. There are no trolleys or baskets; you simply grab items off the shelf and put them straight into a shopping bag. When you’re finished you walk out with your items and shortly after Amazon will send a receipt and charge your Amazon account. 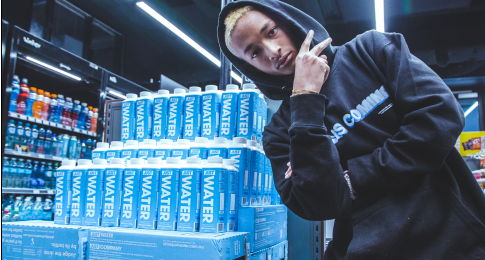 According to the company the store uses the same technology as self-driving cars—computer vision, sensor fusion and deep learning—to track which items you take from the shelf. If you put something back, the Just Walk Out technology will detect this and automatically remove the item from your virtual basket. Although there are no cashiers, employees can be seen in-store stocking shelves, helping customers and checking IDs for alcohol purchases, as well as in the kitchen prepping ready-to-eat food. Amazon said there are currently no plans to roll out the technology across the Amazon-owned Whole Foods chain of grocery stores.